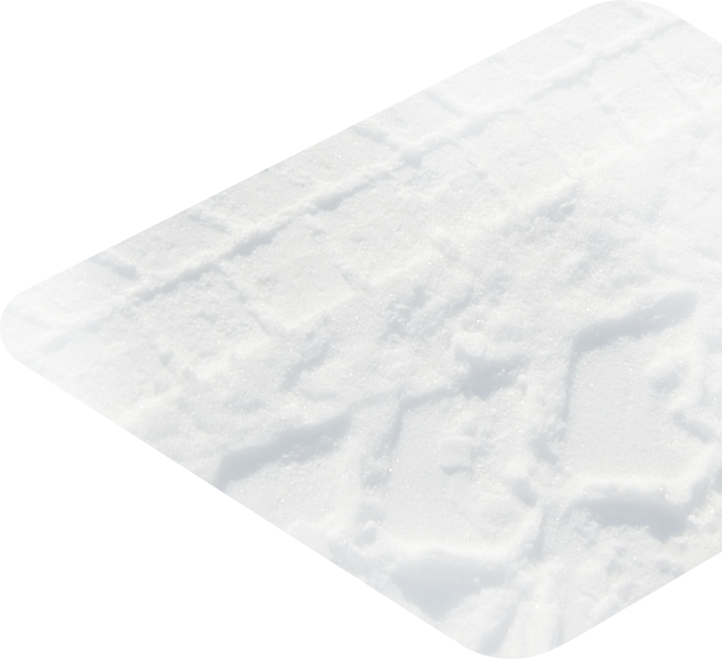 A technology that is much gentler on the body of your car. 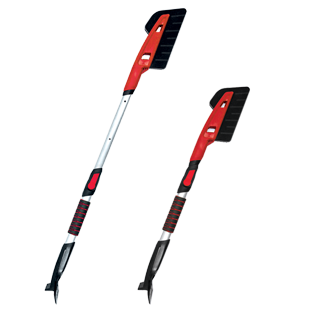 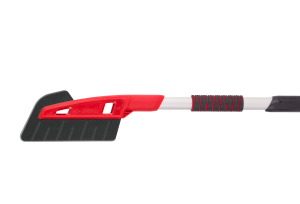 Can be stretched up to 52 in for a quick snow removal on any vehichle. 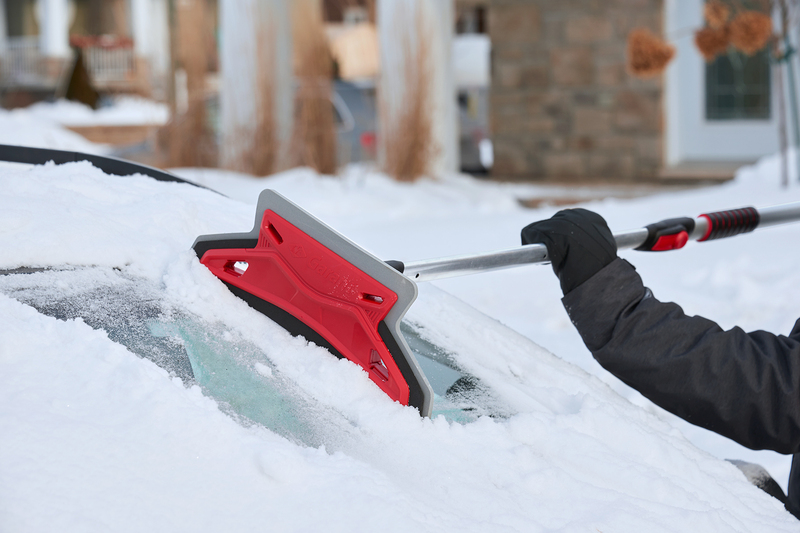 Remove ice from your vehicle’s window quicky with the polycarbonate ice scraper. 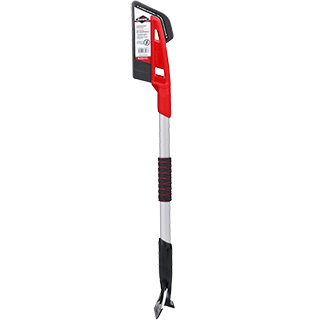 The ideal size for clearing snow of bigger or higher vehicule. 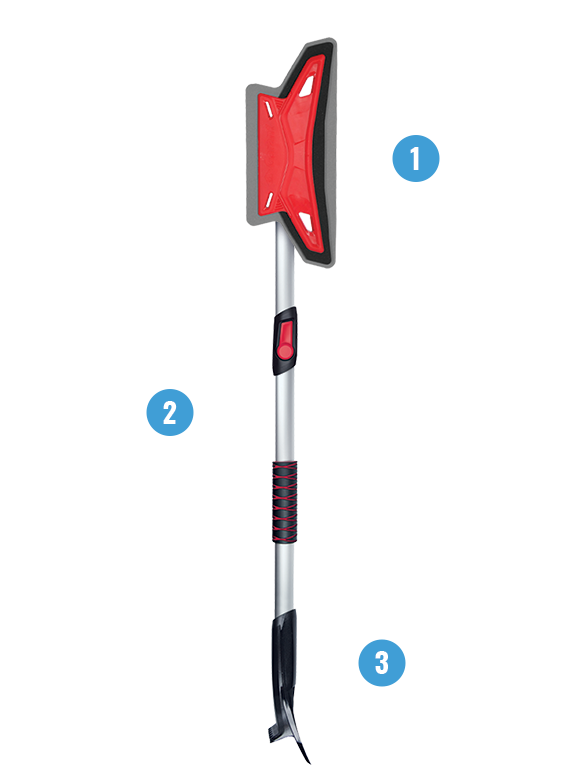 Equipped with a telescopic mechanism, it can be stretched up to 52 in. 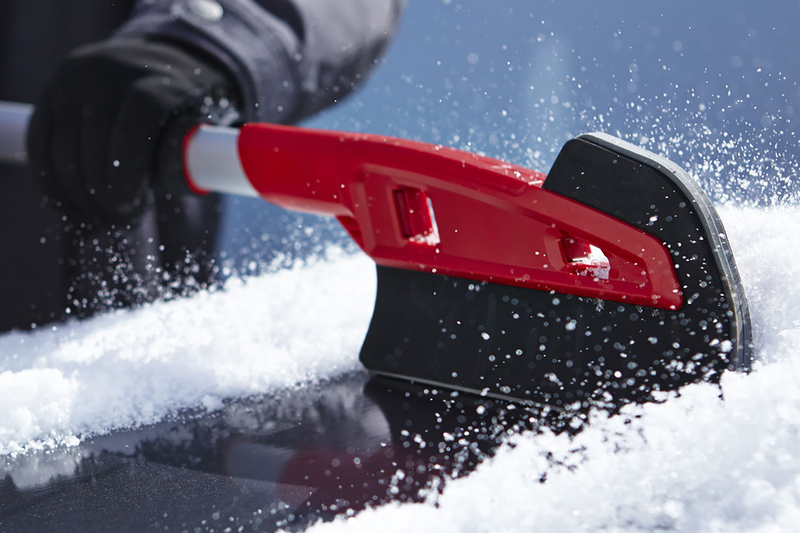 Remove snow and ice without damaging your car. 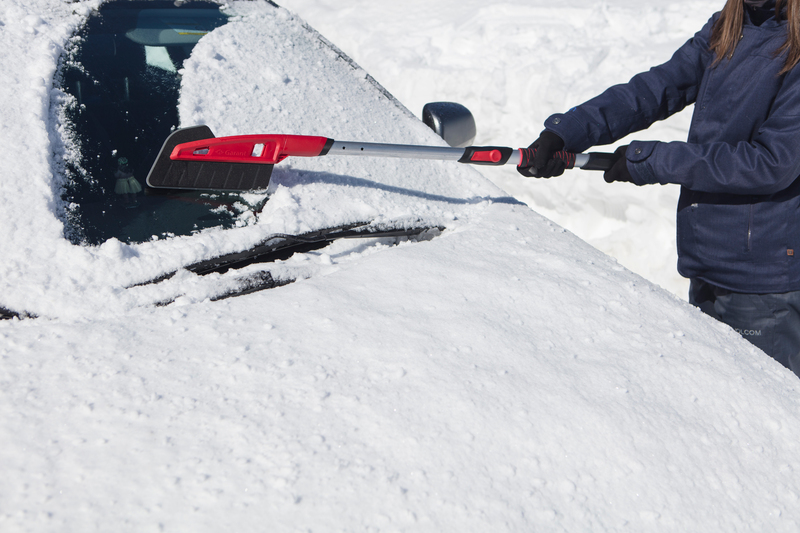 The flexible EVA foam head is efficient in all types of snow and the telescopic mechanism can be stretched up to 45 in. 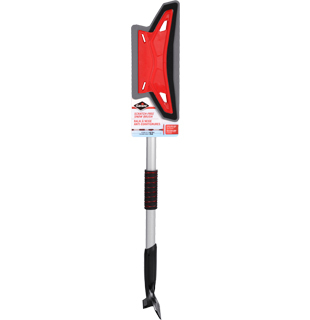 Perfect for smaller car this tool is a must have. 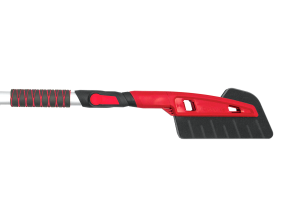 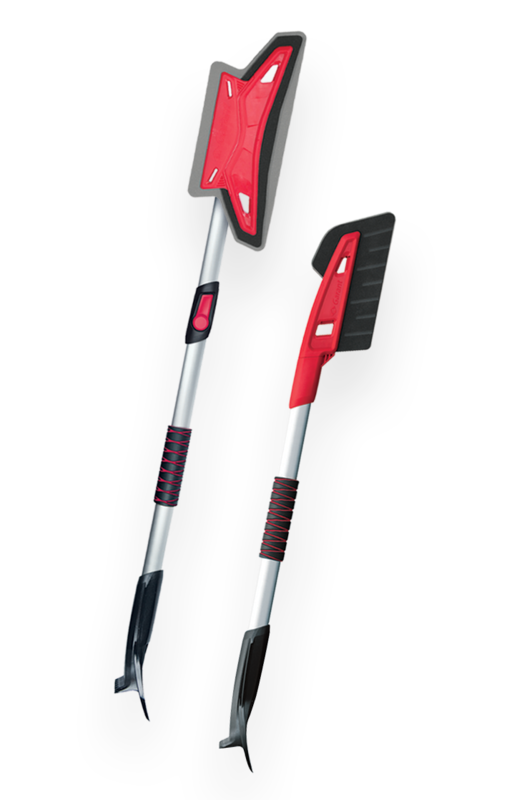 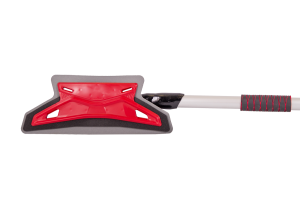 Its oval aluminum handle and insulated comfort foam provides better grip and optimal ergonomics.